Renovation of the Cole Creativity Center began in fall 2017 under the direction of construction firm Colborn and Associates. They were tasked with a variety of improvement projects including demolition, electrical updates, and removal of a dropped ceiling to expose existing windows and natural light. In effect, the renovation team transformed the mid-century, former Santa Paula Savings and Loan building into a modern and accessible space where every adult and child in our community is welcome to learn, share and create. In summer 2018, the Museum launched its new Studio Art Program in the Cole Creativity Center for children, teens and adults! Press play to see the progress of the renovation as of April 2018. The Cole Creativity Center has come to life within the walls of the former Santa Paula Savings and Loan building built in 1954, which had in more recent years been used as office space. The building is named for The Lee Cole Family, who donated the space to the Museum. Previously, Lee Cole and his children had made a significant contribution to the Museum in honor of his late wife and their mother, Jeanette Cole. Jeanette was a beloved docent and supporter of the Santa Paula Art Museum and the Museum's main exhibition building holds the title of the Jeanette Cole Art Center. 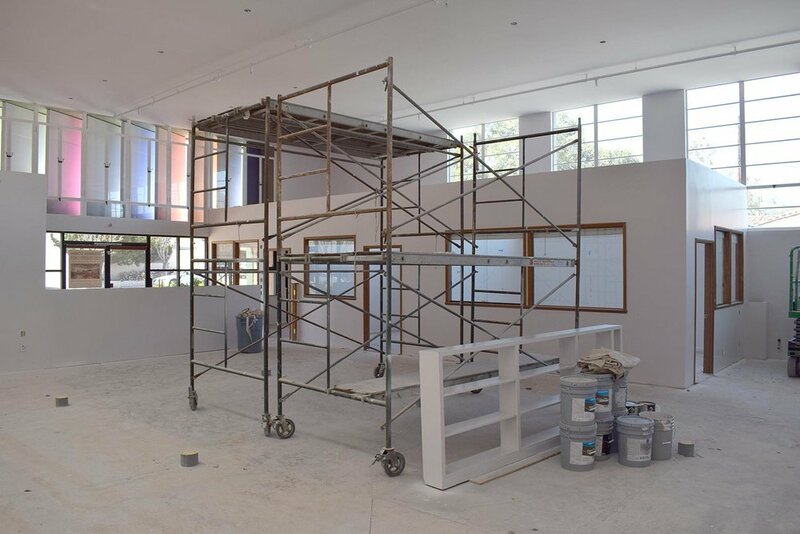 Together, the Jeanette Cole Art Center and the Cole Creativity Center will form the Santa Paula Art Museum campus where visitors can both view art and make art as they travel between the two buildings. Additional naming opportunities are available within individual rooms of the Cole Creativity Center. Donors' names will be displayed prominently in each room in perpetuity. A floor plan and list of naming opportunities is available by clicking on the image at right. 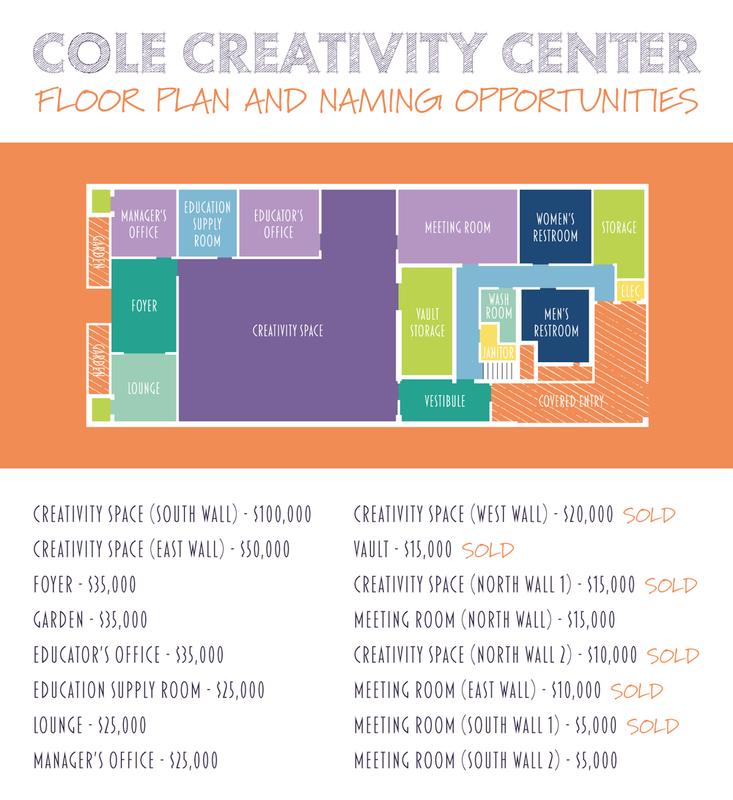 Floor plan and naming opportunities for the Cole Creativity Center. Click to enlarge. Thank you to all of the incredible donors whose generosity is granting us the opportunity to serve our community in an even bigger way!